There is no doubt about it: Germany is loaded with historic buildings and if you plan to visit this country then you shouldn’t miss out on its castles that have been renovated over the 20th century. It is important to mention here the fact that German history has seen many periods in time when the land was divided into districts ruled by their kings and queens. As a result many castles have been built for the royalties to live in and to boast to their neighbors with. For this fact, the architecture of these buildings is different from one region to another and it is definitely a must-see when you travel through Germany. If you take a look at the pictures, you will find that many of them are built on both plains and mountain peaks that make them look very majestically rising up to the sky. 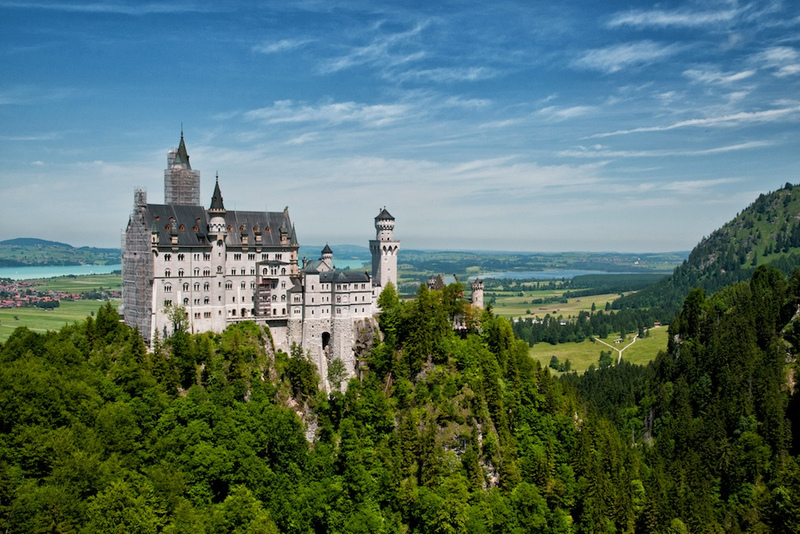 One example is the Neuschwanstein castle with a structure that impresses everyone who comes across it. The construction of this castle was pretty recent (in 1869) during the reign of King Ludwig, and can be found in the South West Bavarian region. It is not very far from Munich and can be easily spotted because it stands on a high point in the Bavarian Alps. It looks like a castle that you picture in a fairy tale with tall towers and spirals decorated with alabaster walls. This castle was built as the personal refuge of the king but it was never brought to its completion because several rooms have been left empty with the death of the king in 1886. Another castle that is a must-see when traveling in Germany comes in the form of Wartburg castle which is much older than Neuschwanstein castle. 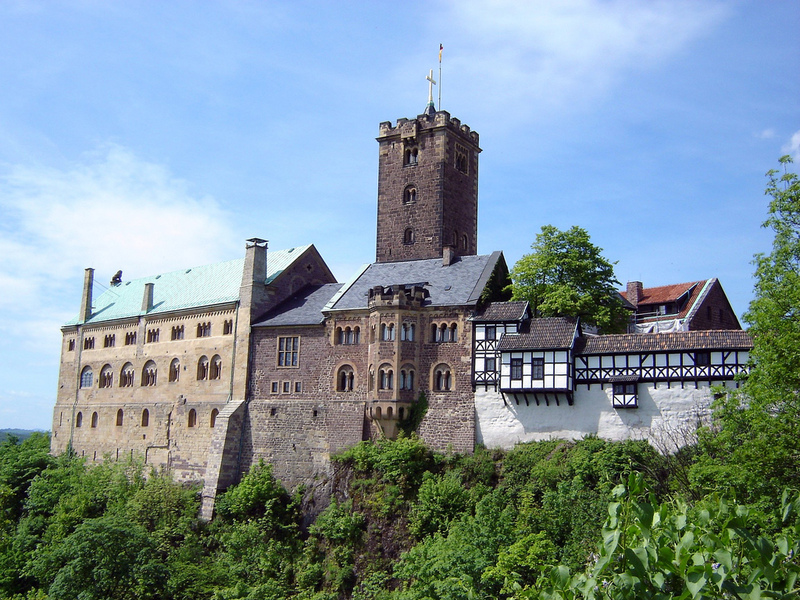 It was built in 1067 by Duke of Thuringia for the purpose to secure borders of the traditional territory. In 1999 UNESCO added this castle as an ‘outstanding monument of the feudal period in Central Europe’ on the World Heritage List. It is also an important piece of architecture in the religious world because it has constituted the place of exile for Martin Luther. He used to live here for several years during which he had the time to develop his religious ideas and give birth to his Protestant Reformation. Another famous castle that worth visiting while being in Germany, is the Hohenzollern castle located 50 kilometers south of Stuttgart. 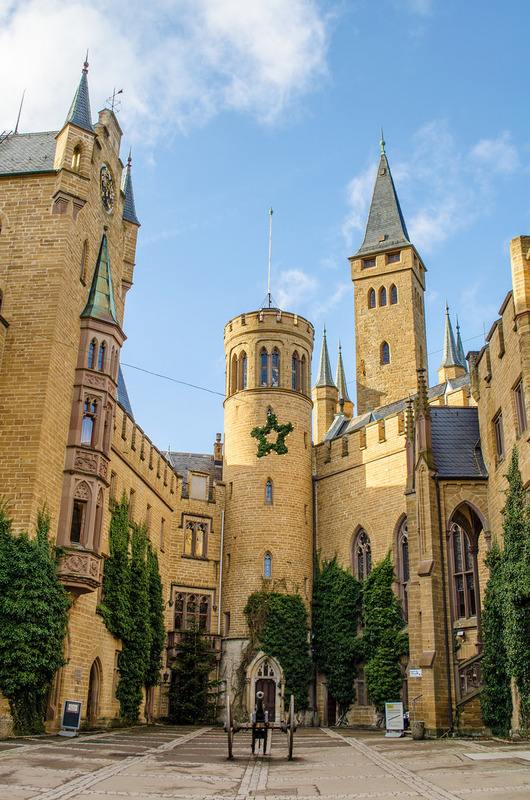 This building was erected as the home of the Hohenzollern family in the 11th century and constituted actually an entire city with fortified citadels for defending the castle and its residents. Throughout history, this castle was rebuilt for two times to reach the form that it is presented these days to its visitors. So, if you plan to visit Germany pretty soon, make sure that you do not miss these tourist objectives as they are quite a great experience for tourists coming from all corners of the world. There are as well other countries in Europe that deserve your attention, but by all means do not overlook this country that has so many historic and impressive tourist locations to visit.